If you haven't installed the client, check the quickstart doc. and optionally script-id and monitoring. 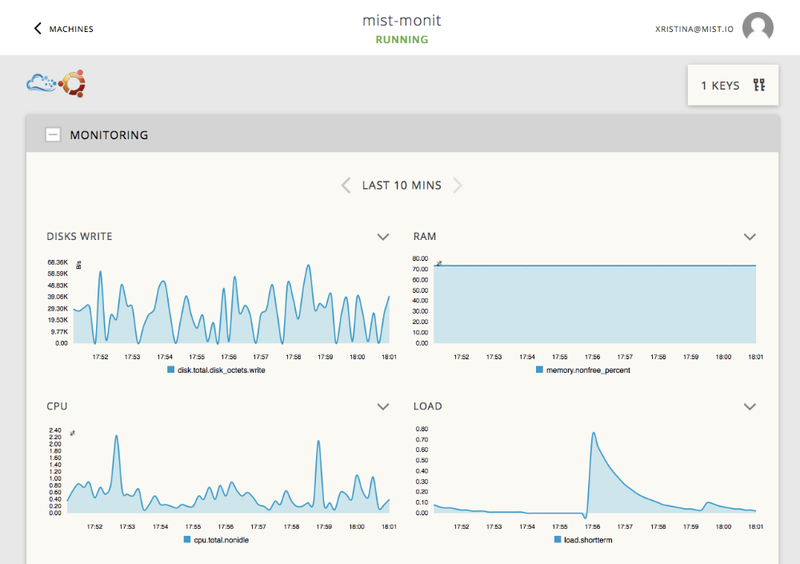 If --monitoring is specified, mist.io will enable monitoring as soon as the machine is deployed. The machine is created on Digital Ocean, with the settings we have specified. We can see it through the mist.io dashboard, where we see it has an ssh key associated (and we can use the web shell), plus monitoring enabled. In order for this to work, the machine has to have an ssh key associated with mist.io. If we visit mist.io page for this machine we will see monitoring graphs for this machine.